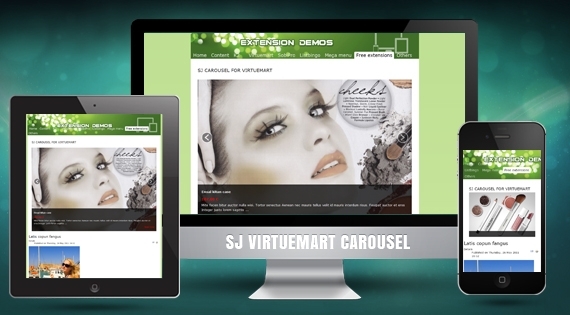 Powered by VirtueMart component, SJ VM Carousel has been released for Joomla 2.5. This module is inherited features of SJ Carousel which supports showing your content as a carousel. SJ VM Carousel would be a great solution for showcasing and increasing the usability of your website. Let's view our demo to feel more! 3. Allow to choose data source and set the display order of products.